The new year has produced yet another boycott of Israelis by Israeli illuminati. In this case 150-plus academics signed a petition calling for a boycott of the Ariel University Center of Samaria (formerly the College of Judea and Samaria). This latest boycott petition by Israeli academics is, however, different in one respect. According to its initiator, Nir Gov, a scientist at the Weizmann Institute, over a third of the signatories are drawn from natural and physical science faculties, moving beyond the humanities and social science departments that have traditionally been the major source of slanted, defamatory attacks on the Jewish state. Gov noted this with apparent pride. But the fact that successful scientists, who almost invariably have taken exquisite care to assure the accuracy of their experimental results before publishing them, would sign onto a distorted, biased assault on Israel, actually represents a further slippage in the moral integrity of significant elements of Israeli academia. Gov’s petition includes invocation of the smear of Israeli “apartheid”; specifically, a declaration that Ariel reflects a “policy of apartheid.” Of course, apartheid in South Africa was a race-based system aimed at keeping all of the territory on which black South Africans lived under control of the white government while withholding from blacks genuine citizenship rights. In contrast, Israelis, while wanting to negotiate new, defensible borders as called for by the authors of UN Security Council resolution 242 in the wake of the 1967 war, overwhelmingly support an agreement which would entail the vast majority of Palestinians pursuing their own political course in lands ceded by Israel. In fact, proposals for such an arrangement, and even for ceding more territory than is consistent with Israel’s preserving defensible borders, have repeatedly been made by Israeli governments and invariably rejected by Palestinian leaders. While states and international bodies generally hostile to Israel have embraced such characterizations of Ariel and other Israeli communities beyond the 1949 armistice lines, various experts on international law, and groups referencing expert opinion, have refuted these claims. For example, Eugene Rostow, a former dean of Yale Law School, a leading interpreter of international law, an undersecretary of state for political affairs in the American State Department, and an author of Resolution 242, argued that, under the League of Nations Mandate for Palestine and under article 80 (the so-called “Palestine article”) of the United Nations Charter, Jews have a right to settle in any of the land between the Jordan and the Mediterranean. The settlements are therefore neither illegal nor a violation of the Geneva Convention. Only when there is an agreement in which Israel explicitly cedes territory and foregoes the presence of Israeli communities in that territory will parts of the land between the Jordan and the Mediterranean be legally closed to Israeli settlement. Indeed, Israel has foregone settlement in areas A and B as defined by the September, 1995, Oslo II interim agreement, the former area ceded to full Palestinian control, the latter to Palestinian civilian and Israeli security control. 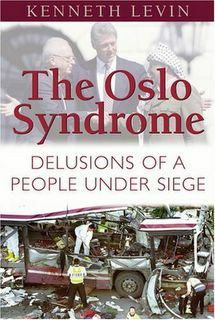 Israel has done so even as the Palestinians have violated their own obligations under Oslo II. Other experts have pointed out that the Geneva Convention refers to forced transfer of civilian populations and, as the settlements entail voluntary movement, the Convention is irrelevant for this reason as well. Based on the relevant international documents and expert legal opinion, the U.S. State Department, for example, does not view the Geneva Convention as applicable to Israeli settlements. In addition, U.S. administrations, with the exception of that of Jimmy Carter, have consistently regarded settlements as legal even as some have criticized them as complicating the search for peace. The academic signatories of the recent anti-Ariel petition once more mimic Israel’s critics by suggesting that settlements such as Ariel are rendering peace impossible. But the claim that border issues and settlements are obstacles to peace flies in the face of repeated experience over the decades, and not least in the last decade, with Israel’s Arab interlocutors. The Palestinian leadership has consistently declared and demonstrated that no territorial concessions could induce it to sign onto an “end of conflict” agreement, give up demands for a “right of return” intended to transform Israel into yet another Arab entity, recognize Israel as a Jewish state, or indeed recognize the legitimacy of any Jewish sovereignty in the area. Moreover, it has consistently used its media, mosques and schools to indoctrinate Palestinians into believing that all Jewish claims are illegitimate, a falsification of history, a violation of international law, and a usurpation of Arab and Muslim rights, and that it is the obligation of Palestinians to dedicate themselves to Israel’s annihilation. Within humanities and social science departments of Israeli universities, the all-too-common abandonment of education and its replacement with anti-Zionist and “post-Zionist” indoctrination built on false and defamatory claims, is well documented and widely recognized. An incident such as Teddy Katz receiving a grade of 97 from Haifa University’s history department for his masters thesis, submitted in 1998, falsely claiming that Israeli soldiers massacred Arabs in the village of Tantura during the 1947-1949 war, is just one of the more notorious examples of this phenomenon. But the involvement of large numbers of natural and physical science faculty members in the recent petition - their categorical endorsement of claims against Israel that are either bogus or, at best, dubious and open to incisive counter-argument - represents more than simply a numerical expansion of those Israeli university departments touched by a debauching of academic integrity. Petition organizer Gov is a member of Weizmann’s Chemical Physics department and appears to have enjoyed quite a successful career. Another petition signatory and fellow department member Itamar Procaccia has won particular prominence in his field, having been honored with the Israel Prize for his professional achievements. But success in a field such as theirs requires an academic rigor far beyond that expected in humanities and social science departments, even those that still adhere to basic standards of integrity. No serious scholar involved in research in chemical physics would allow a paper to go out with his name on it unless the experimental results being reported upon - whether his own or those of graduate students or post-docs working in his laboratory - were checked and rechecked, the experiments repeated and the resulting data vetted again and again. In addition, papers reporting on the scholar’s research would claim nothing beyond what the confirmed experiments demonstrate. If the scholar chose to include in a publication possible implications of his experimental results, or to speculate more widely on the significance of his data, he would clearly label such inclusions simply possibilities and speculations. Yet here in this recent petition we have individuals like Gov and Procaccia, who almost certainly take rigorous care in the research with which they associate their names, signing on to categorical claims that are factually shoddy and demonstrably biased regarding such matters as the legality of settlements, the relevance of the Geneva Conventions, the possibilities of genuine peace and the place of settlements in the quest for peace. In addition, the research about which they are so meticulous is likely abstruse and hardly applicable to people’s immediate well-being, while the petition claims about which they are so cavalier are exploited by Israel’s enemies and have very practical, deleterious consequences for the state and its people. And so, as reflected in this recent petition, the defamation of Israel by Israeli academics has not only won new faculty recruits but has engaged those whose training and professional practices ought to render them more immune to endorsing biased and defamatory claims. The rot not only widens but deepens.